A beautiful place with lots of restaurants around. 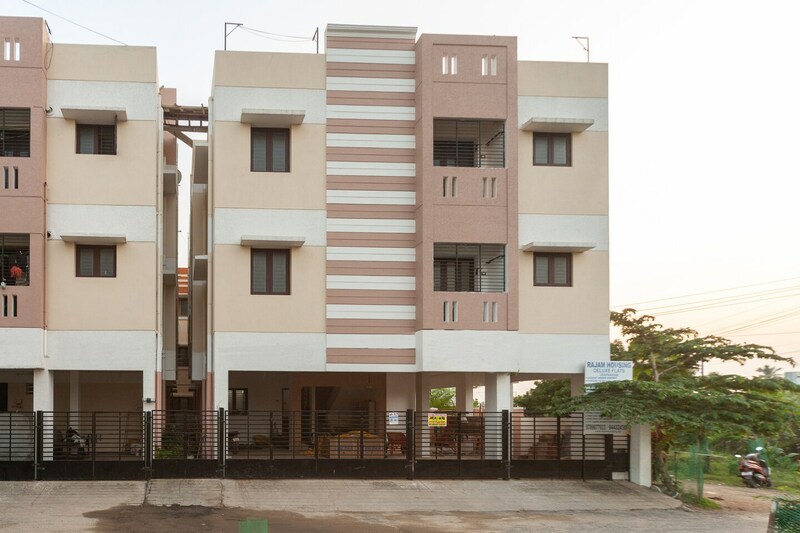 Rajam Residency is a hotel with a classy appearance. The external structure is simple with a combination of different shades. The bedrooms follow the same combination and have light colored walls with dark wooden furnishings, lending the place with a charming and joyful ambience. The room is adorned with essential furniture and the bright cushions add a splash of colour to the room. The hotel provides its guests with free Wi-Fi so that they can maintain their connection with the rest of the world and dont encounter any technology related issues. Other amenities offered by the hotel are a geyser, a seating area and parking facility.